Boris Johnson and other leading Tory Brexiteers have attacked Theresa May’s Brexit plan at an event putting the economic case for leaving the EU without an agreement on trade. 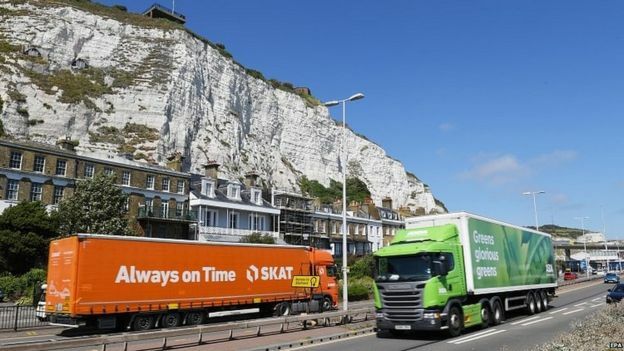 The Economists For Free Trade report said the UK had “nothing to fear” from a “clean break” from the EU and using World Trade Organisation rules. But the claims were branded “Project Fantasy” by Labour MP Chuka Umunna. And Chancellor Philip Hammond said the economic assumptions behind the analysis were “not sustainable” and out of line with other forecasts. Mr Hammond, who earlier on Tuesday announced Bank of England Governor Mark Carney would be extending his contract until January 2020 to provide continuity after Brexit, has issued a fresh warning of “some turbulence” if the UK left the EU in March without a deal. Ministers have said reaching a general agreement on future economic co-operation with the EU is in the UK’s interests before it leaves on 29 March, 2019. The UK and EU are hoping to agree a way forward next month, at the same time as they settle the terms of the UK’s withdrawal from the bloc, including a transition period up to the end of 2020. Mr Johnson and other Conservative MPs opposed to Theresa May’s Chequers plan for future relations with the EU are facing growing pressure to provide an alternative plan. Mr Johnson, who made a surprise appearance at the launch of the report in Westminster, said Mrs May’s Chequers plan would mean “abandoning our seat around the table in Brussels and continuing to accept the single market legislation”. In Committee Room 9, the glitterati of the Brexiteer establishment. This was a gig with two key messages: banishing the bogeyman, as they see it, of WTO rules; they can be embraced, not fled from. Oh, and the government’s Chequers plan is terrible. Boris Johnson and David Davis were both there, and recipients of applause for being willing to leave the cabinet on principle. Other stalwarts of the Eurosceptic army joined the crowd: Bill Cash, Iain Duncan Smith, and from the business world, Richard Tice and John Mills. This was not about sticking two fingers up to the EU. Plenty in the room argued that leaving the EU on WTO terms next March would be fine, but preferred reaching a withdrawal agreement, and securing a transition period. During this transition a looser long term relationship could be negotiated with Brussels, which they want to be a souped-up version of the free trade agreement between Canada and the EU. Jacob Rees-Mogg said the pro-Brexit European Research Group of Tory MPs he chairs would spell out its solution to the issue of avoiding a hard border between the Republic of Ireland and Northern Ireland at a meeting on Wednesday. “Leaving on a world trade deal is a perfectly sensible thing to do but I think we can do better,” he added. He said the UK should “negotiate the ‘Canada plus’ deal now which is being offered by the EU and has been offered from an early stage”. “Canada plus”, a free trade pact along the lines of the EU’s 2016 agreement with Canada but with deeper ties, has been rejected by Theresa May and Chancellor Philip Hammond, who says it will hit jobs, trade and growth. The UK is set to quit the single market but Mrs May wants British manufacturers to continue to have full access to European markets for their goods through a free trade zone – which would see the UK sign up to a common rule book. The so-called Chequers plan is unpopular with many Tory MPs, who argue it would compromise the UK’s sovereignty, and Economists For Free Trade, led by Professor Patrick Minford. said the evidence showed it was not necessary to enjoy preferential market status to trade successfully with the EU. In the past 25 years, it said the UK had been “heavily outperformed” by countries outside the single market trading with the EU on WTO rules, such as the United States, India and China. During that period, it said the aggregate export growth of WTO countries had been four times larger than the growth of UK exports into the single market. At the same time, it said British exports to the rest of the world had grown more than three times faster than to the EU. The group of economists said it was wrong to characterise leaving the EU without a trade agreement in place as “crashing out” without a deal, because the UK and the European Commission would have a duty to reach a series of individual agreements in areas such as aviation and energy. Outside the EU, the report argues, the UK would be free to set its own tariffs on EU imports and if these were eliminated, it could reduce prices for consumers by as much as 8%. with those on low incomes benefiting the most from cheaper food and clothing. On the other hand, it said if the EU chose to impose import tariffs on popular items, its large trade surplus with the UK could result in an annual boost to the UK Exchequer of as much as £13bn. But Mr Hammond suggested the report over-estimated the economic benefit to the UK of removing tariffs on EU imports as well as “implausibly” assuming there would be no new non-tariff barriers in the event of a no-deal exit nor additional burdens on financial services firms. “The model makes no allowance for differences in quality and safety of imported goods… and it assumes all standards on imported goods will be abolished,” he told the Lords economic affairs committee. “I’m sure the model is very effective but the assumptions that it makes are widely out of line with assumptions used by other economic models and frankly, I believe, are not sustainable”. Labour’s Chuka Umunna, a leading member of the People’s Vote campaign for a referendum on the final deal, said a no-deal Brexit would be a disaster for the UK. “The latest Project Fantasy document from advocates of an ultra-hard Brexit promises to take us to a land of milk-and-honey,” he said. In a related development, the chief executive of Jaguar Land Rover, the UK’s largest car manufacturer, has warned the wrong kind of Brexit deal could cost the firm £1.2bn and result in jobs being moved abroad. Dr Ralph Speth told a conference in Birmingham that unrestricted access to the single market was vital for his business and “any friction at the border puts business at jeopardy”.